Jason Rao, Ph.D, an SDJT alumnus (1983-1989), is currently the Director of International Affairs at the American Society for Microbiology (ASM), the oldest and largest life science association. He oversees policies and programs for ASM’s global efforts, and is the founding editor-in-chief of Cultures magazine, an ASM publication with world-wide distribution. Dr. Rao is also the founder of Health Security Partners, a non-profit dedicated to international education and collaboration in health science. Previously he served as the Senior Policy Advisor for National Security and International Affairs in the White House, Office of Science and Technology Policy. While there, he led President Obama’s Global Science Engagement effort, including the Science Envoy program, and “New Beginnings” diplomatic outreach to Muslim-majority nations. Dr. Rao served nearly a decade at the U.S. Department of State, where he was responsible for a range of foreign assistance programs aimed at enhancing global health and national security; he is the founder of the Biosecurity Engagement Program, a congressionally funded $30M/year program on global health security. He lived and worked in Moscow, Jakarta and Islamabad during this time. Dr. Rao was a Brookings Legislative Fellow in the 111th Congress, working with the Senate Foreign Relations and Homeland Security and Government Affairs Committees. He was an American Association for the Advancement of Science (AAAS) Diplomacy Fellow in 2001, and Research Fellow at the National Institutes of Health in 2000. Dr. Rao holds a Ph.D in Biochemistry, Cellular and Molecular Biology from the Johns Hopkins University School of Medicine and a bachelor’s degree in chemistry from the University of California at Santa Cruz. 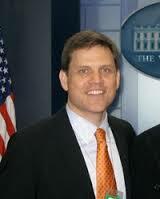 He holds adjunct faculty positions with Cornell, Georgetown and George Washington Universities.